Before we get started with today's post, let's go over the Battle of the Bands Results. The battle was a cover of 'Mercury Blues', with the contenders being Canned Heat and Meat Loaf. Their engines were revved up and ready to roll. The bands were shoulder to shoulder in turns one and two.. In turn three, Meat Loaf pulled ahead, but in in turn four Canned Heat had managed to find more fuel in their tank and did their best to catch Meat Loaf. It was an engaging race, and quite the battle right to the very end. Thank you everyone for indulging me with your vote! We'll have a new round of battles on November 16th, with new songs and new contenders. It seems I have my weeks all messed up again. Sometimes I think I’m getting old and forgetful. It’s either that, or I’ve just been under too much stress as of late and can’t think clearly. Maybe it’s a combination of both. I do know one thing, though - Music has the power of healing! A few months ago, we had a similar theme for Monday’s Music Moves Me. I had a good sized playlist then. I think for today’s post, I’m going to try to come up with 5 songs about Trucks. I realize that it’s still Rocktober, but I couldn’t find any rock songs about trucks. Today’s post features Rock’s distant cousin, Country. Decent outcome for the Battle. Between cars and trucks I guess I'd have to base my decision on what I was using the vehicle for most. For me I guess I've taken the middle road as I've always had a van--the comfort of a car with the hauling space for stuff. Cars are nice to have though. That sounds fair. I was pleased with the outcome. I know it could have been much worse. I am a simple car person. 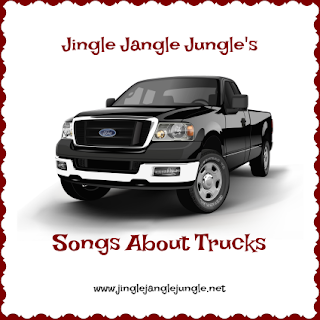 Nice songs about trucks. 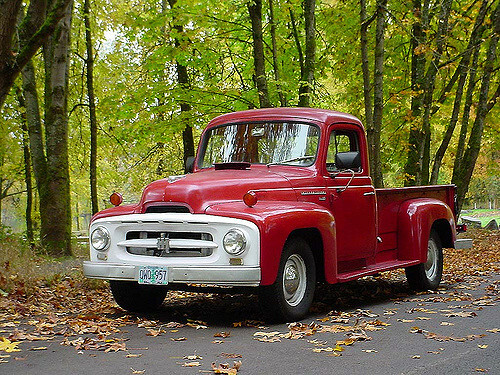 Can't get much more country than songs about pickup trucks, can you? Just add a dog and heartbreak and you've got a hit! Wow! Terrific Battle, MARY! In my book, a one-vote margin of victory is a "perfect" BOTB installment. Good work! I do believe this one was a good one. Am rather pleased with the turnout. Hope my next two turn out just as well. I have trouble getting into some trucks as well. I like a good close battle, it always leaves me guessing who will win in the end. I didn't do battle of bands, but cars or trucks.. sorry I'm a Van kinda girl cuz having 5 kids (first boy & girl) then a baby girl died of SIDS, then the last 2 boy & girl also was only a year apart & the last one was a preemie 3lbs 2oz, so I really REALLY needed a van pretty much of the time! ~hehehe~ don't you agree? Only drove a truck once to back up my dad's work truck for him. THAT was an experience for sure! My Dad would've really liked your truck tune here! VERY COOL YOU HAVE ROCKED THE HOUSE!!! WOO HOO! Thanks for joinin' us! BIG HUGS! WOW, you sure had a heated race! I went with Meatloaf but he barely took the lead, didn't he? I love it when a battle is neck to neck like this up till the end. Mine was so lopsided! 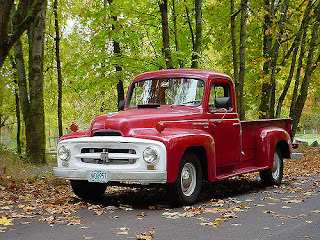 I prefer cars to trucks but having a pickup offers the obvious benefits which we can really use from time to time. 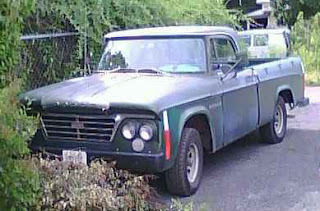 I hope we can a truck someday. I always enjoy hearing Florida Georgia Line's mewsic. They really know how to rock it country style. You and I shared two of the same tunes but I'm finding what I had hoped would be a different path is quite popular with everyone else. lol Hey, that's okay because we're all having fun boogieing with one another. This has been a fun theme, one I hope we repeat because there are many cool song picks! Have a tunetastic day, my friend! Wow, you had a great battle! I remember that even though I voted for Canned Heat, I was impressed with Meat Loaf's version. Excellent turnout! And I hear ya about there being no rock songs about trucks. What's up with that? I know a lot of rockers that have trucks! But I guess Country and trucks just go together so well. I did two playlists for this theme: a rock one for cars and a country one for trucks. I never heard your first two: Wade Bowen's "Songs about Trucks" -- I really like it! I don't anything about him. Never heard of him before. And Florida-Georgia Line has such a good sound. "Cruise" is new to me. Thanks for the introduction to these two songs. Rocktober is coming to an end soon. Hard to believe. Enjoy this last week of it! No short comments? That made me grin. I also really adored how you described the battle of the bands. You're clever, my dear. I'm a huge fan of Meat Loaf, as mentioned before, so I can't complain about the outcome. I'm definitely a car person. One reason I never wanted a truck is because people taught me that truck owners are more likely to get lassoed into helping folks move. ~grin~ It is a little surprising there are no rock songs about trucks. I'm no country music fan, but that video made me grin. Thank you for sharing these. "I'm gonna buy me a Ford truck and cruise it up and down the road." Personally, I'm a car person. If you own a truck, you have a lot of friends... when they need you to help them move or transport something. My favourite Truck song is definitely Florida Georgia Line!! I always feel like driving with the window open when I hear that song!